The Nova started out as a car that Chevrolet needed to compete against the new compact-car wars that was heating up. The Nova was designed straight from the drawing board, not from any other car. Ford came out with the Falcon/Comet, Chrysler came out with the Valiant/Dart, AMC had the Rambler American and Studebaker had its Lark. Although Chevy already had a compact car (the Corvair), the goal was to come out with a car that would compete with the new RWD compacts. All of these cars were of "unibody" design, with a completely detatchable front end, so that fenders and other front end sheet metal could be repaired or replaces very easily. These cars were known as the GM "X"-body line, bodies made by Fisher Body. 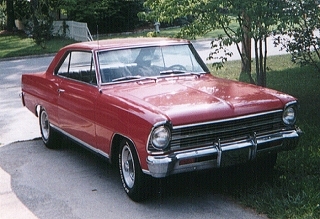 In the fall of 1961, the Chevy II came out (as a 1962 model). They first came off the line in Willow Run, Mich., along with Corvairs. Later, Norwood OH, Oakland, CA and Framingham, MA. started cranking them out. 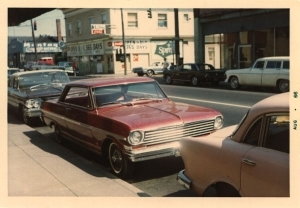 Three different levels of this car were made - the Chevy II 100, the Chevy II 300 and the Chevy II Nova 400. These cars were available as a 2-door coupe, a 2-door sedan, a 4-door sedan, a 2-seat station wagon, a 3-seat station wagon and finally, a convertible. Those cars only had the 153 CI inline 4 (Iron-Duke) or the 194 inline six. Those were newly-designed engines specifically designed for this new car. The six used 7 main bearings, a revolutionary design in its day. The 1963 models came out with minor trim changes, some very minor mechanical changes, but with a new addition: the Chevy II Nova SS. All models used the available engines from 1962. 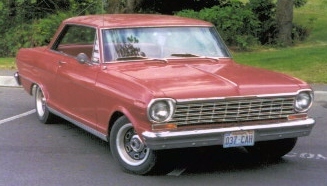 Production numbers concluded that the 1963 Chevy II/Nova outsold the domestic competition in compacts that year. 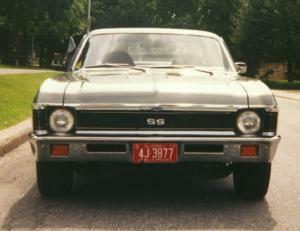 In 1964, the Nova SS was dropped, in anticipation on the arrival of the new, larger Chevelle SS, but public demand caused a mid-year return of the Nova SS. 2 new engines was available in 1964 - the 283 V8 (the first year for a V8), and the 230 inline six. 5-inch standard GM wheels and 9 1/2 in. brakes were utilized. 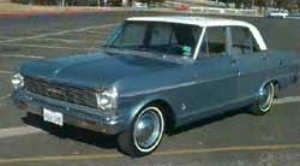 The convertible no longer made it in 1964, nor did the 3-seat station wagon, however the 2-seat wagon continued. Also, the Chevy II 300-series trim level was deleted, so only the 100, 400 and SS remained. 1965 meant trim changes, more noted on the grill and rear taillamps. 1966 saw noticable external sheet-metal changes, a 327 engine, available up to 350 horespower (L-79). Underneath and mechanical-wise, it was the same chassis and overall structure as the 1962-5 models. Seat belts became standard equipment for the first time this year (in anticipation on meeting 1968 mandates). 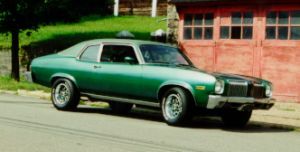 1967 was the year the L-79 option was dropped, so the sales would not be stolen from the newly-introduced Camaro. A new grille and side trim were the most visible change. Dual-pot braking system became standard, disc brakes became an available option. The 250 inline six was added to the list of available sixes. 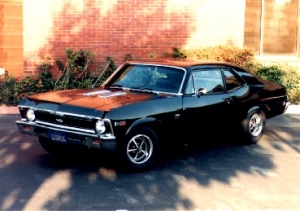 1968 meant a radically-new model based on Camaro-like frame. This basic body design would last for 11 years and would be shared in one form or another by all other GM divisions. 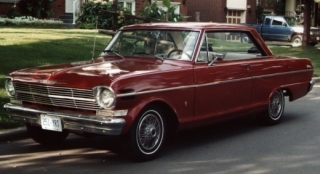 All models became known as the Chevy II Nova. 1969, the Chevy II name was dropped - all models referred to as just "Nova" The 350 and 396 became available. Coupes and sedans were of the same body. Gone are the frame-less doors. Headrests were installed, and the ignition switch moved from the dashboard to the steering column. 1970 continued on with taillight changes and other minor changes. 1971 meant low-compression engines so they can be made to run on the lower octane unleaded gas, which was to become widely available 4 years later). Gone was the 396. No more big-blocks in the Nova. Evaporative emission equipment. 1972 - pretty much the same. A trim package known as "Rally Nova" was available. "SS" meant nothing more than a "trim and beauty package"
1973 -Phase I of federal bumper requirements (leading up to 5MPH the following year), added emission equipment EGR) meant performance engines was history and lower horsepower prevailed. The body remains unchanged since 1973 except for the 5 MPH bumpers. New "features" include ignition seat belt interlocks. This prevented the car from being started if anyone was sitting in the driver's or passenger's seats without the seat belt buckled (thanks to the wonderful bureaucrats staffing the NHSTA, an agency created by Democrats). Chevrolet installed more EPA-required smog junk, making the car a real dog to drive. Sheet metal redesigned and put on top of a tweaked frame. The 250 inline six features an integrated head and intake. Catalytic converters required unleaded gas. Available engines in addition to the 250 were the 305 and the 350 V8. Electronic HEI ignitions became standard. "LN" or Luxury Nova becomes a nameplate. The Nova "Concours" introduced. It is a Nova full of luxury items. Landau roof was optional on the coupes. 1977 Restyled dashboard. Otherwise, pretty much the same. 1979 Rectangular headlamps. Nova ends production during the early part of 1979. 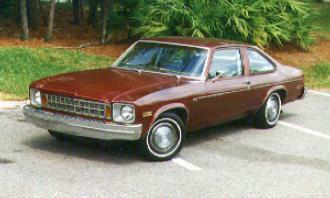 The Chevrolet Citation becomes the replacement X-body platform, to later be followed by the Malibu. 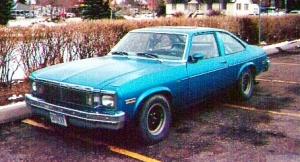 The Nova also had sibling cars (X-Body) in the U.S., starting in the early 70s, known as Pontiac Ventura and Ventura II(70?-77)Phoenix(78-79),Oldsmobile Omega (70?-79), and Buick Appolo (70?-75)/Skylark(76-79). 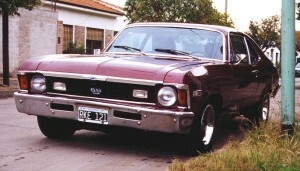 Novas (at least the early ones) were produced as right-hand drive models for Australian markets. 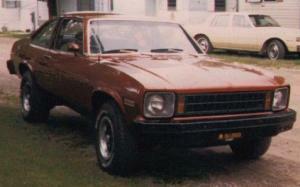 Novas built and sold in Argentina were known simple as Chevy, or Chevy Special 70. The Chevy Super Sports were all 4-door models.